I’d like to think of myself as a hard worker. I was recognized for this quality in my former job and in other aspects of my life in the past, but I haven’t had the opportunity to test out if it still applies when we’re talking about manual labor. 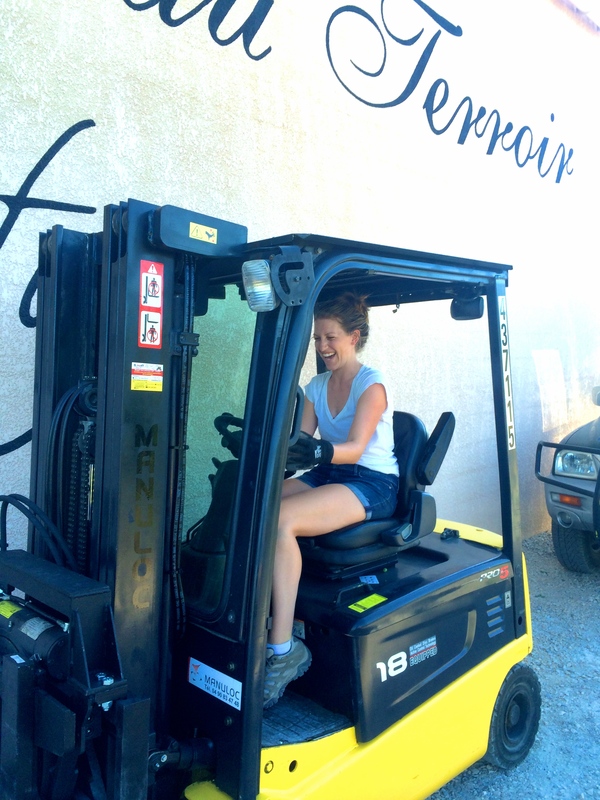 My week at Domaine Vintur exposed me to a different perspective of what hard work really consists of. I had no idea what I’d be doing each day, but very quickly, it became clear that I’d be earning my keep with blood, sweat, tears (…minus the blood and tears part). 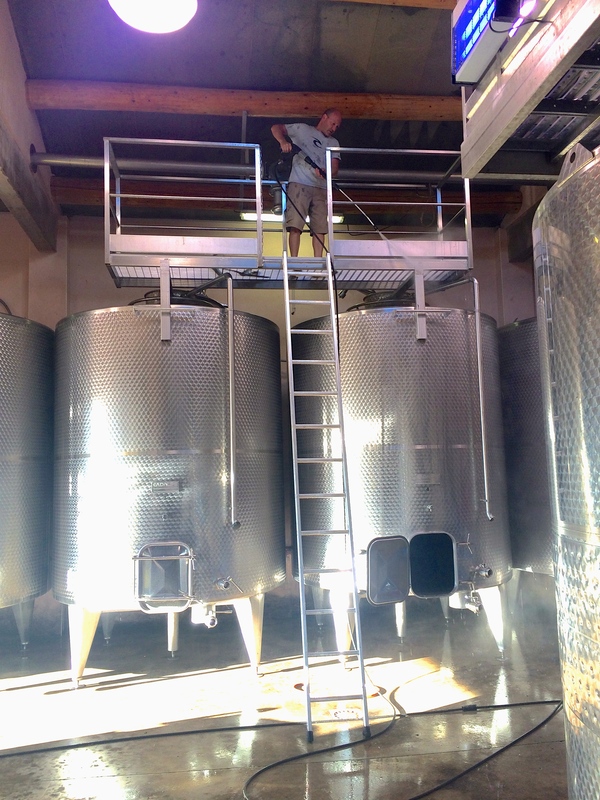 I spent the week working for James (or “Woody”), who runs the vineyard, and alongside John, a student learning about the wine industry who would be volunteering for ten days. 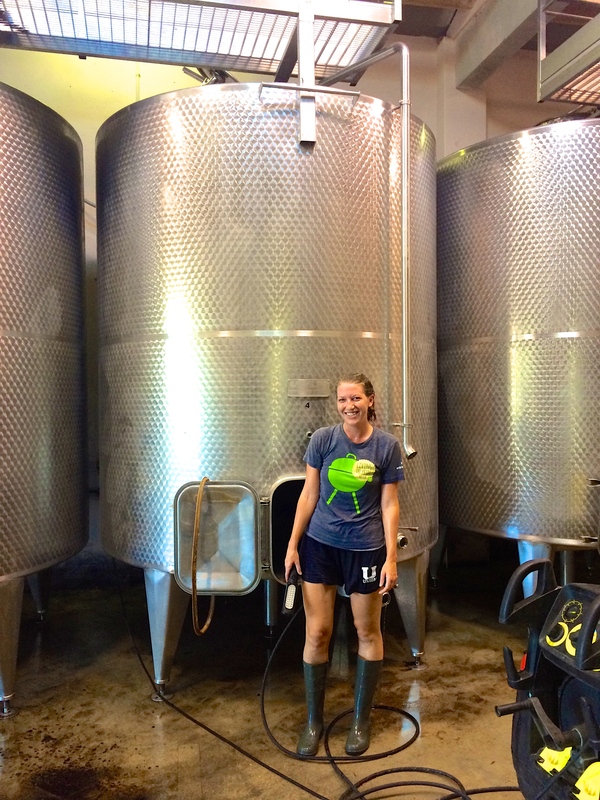 I heard a quotation (and forgive me, but I don’t know where it originated) throughout the week that gives a bit more insight into my experience: “Running a vineyard is 10% chemistry and 90% cleaning.” That is no exaggeration. (You can read about the chemistry portion here.) 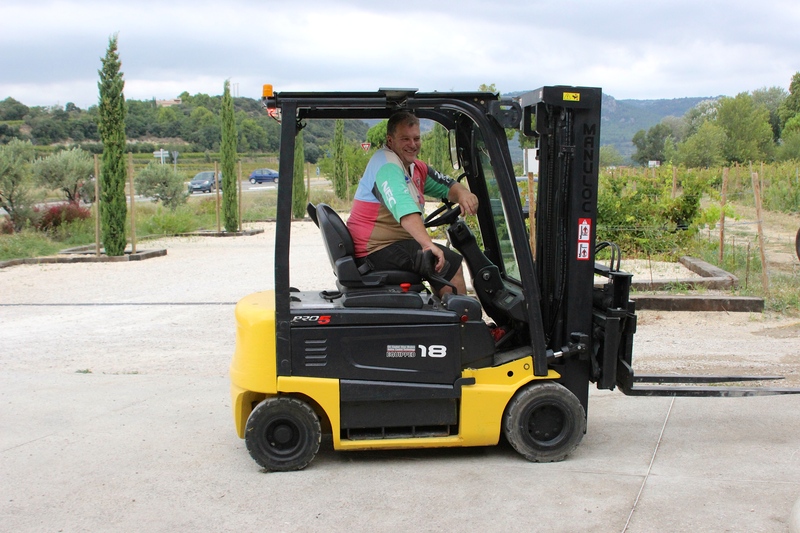 The week I spent at the vineyard was really important and extremely busy because everything needed to be prepared for the harvest. All machines, tanks, and tools needed to be cleaned and sanitized. 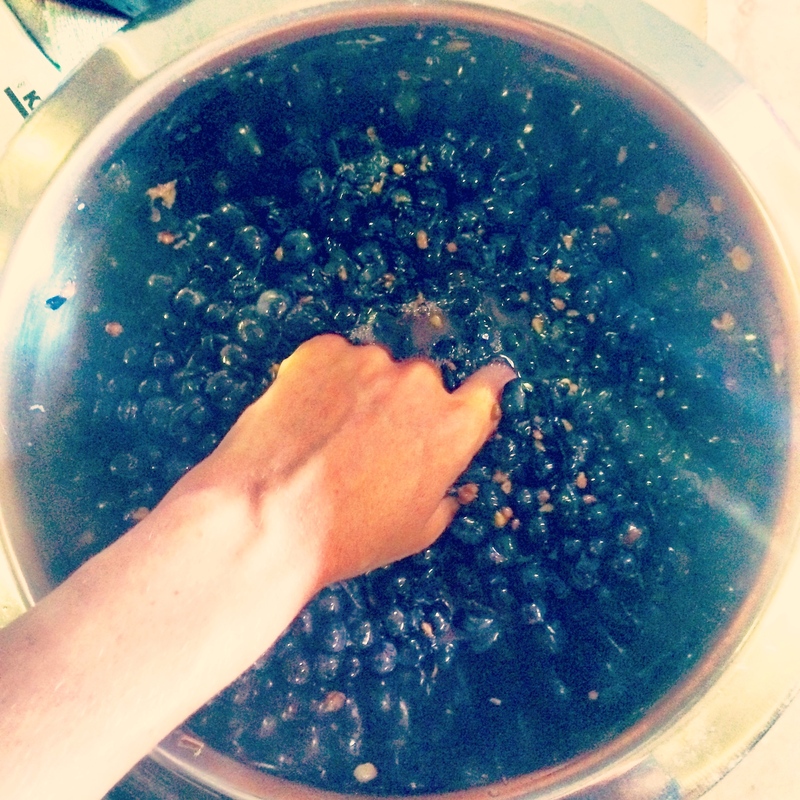 Different grape varieties needed to be tested. Weeds between the vines needed to be mowed. Trash needed to be removed. All areas needed to be organized. I am happy to report that I was not given easier jobs because I am female. I kept up with the guys to the best of my ability. In fact, they said they were impressed by my work ethic and that I completed everything I started. I can now have a strong reference if I ever decide to try working on a vineyard full-time. 13:00 (1:00pm)– lunch, generally at a restaurant in nearby Caromb. Lunch consisted of incredible salads, steaks, cheese, bread, rosé, and coffee. It was a two to three hour affair. Woody cooked a few times and it would always be something seemingly simple but absolutely spectacular. The man can do it all! 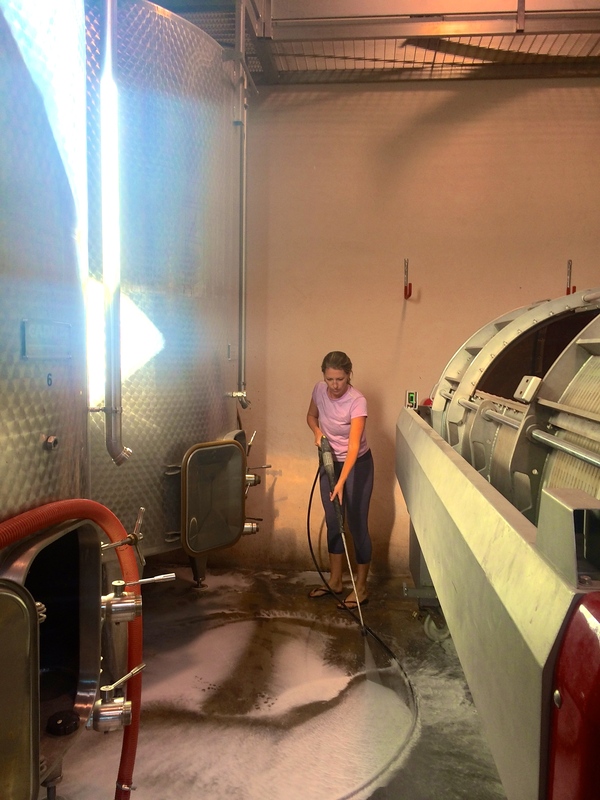 15:30 (3:30pm) – back to work – power washing something, filling a pickup truck with trash and dropping it at the tip, getting inside a wine tank and steam cleaning it. I stacked that beautiful, beautiful pile. 18:00 or 19:00 (6:00 or 7:00pm) – finish working, long shower, light dinner, bed. This work is not for the faint of heart, but, in my case, it was such a departure from my desk job that I found it really fun, exciting, and energizing. 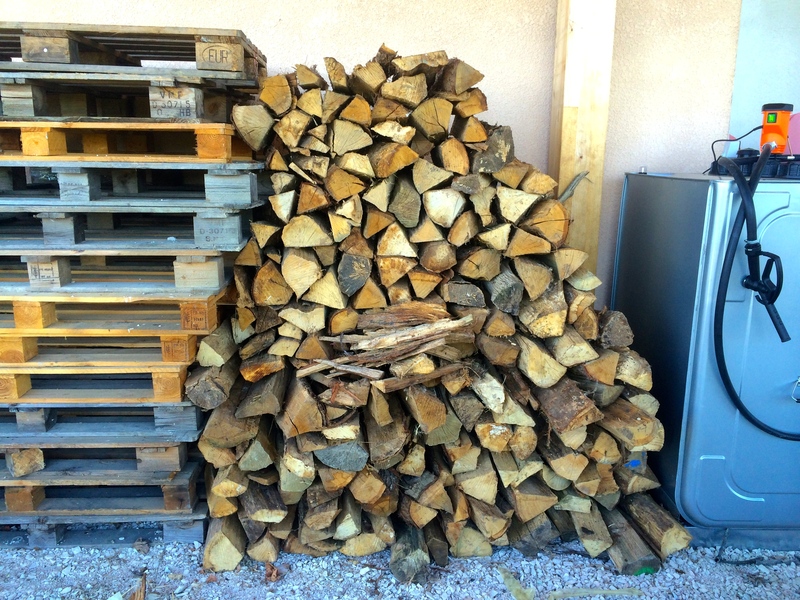 To know that I needed to stack that huge pile of wood so that this vintage of wine could be created motivated me. Sore arms, back, legs, lots of bruises, pulling a forklift out of sunken grass, sweat everywhere, chemicals on skin, facing fears of heights and claustrophobia… it all happened during the week at some point. I totally loved it. 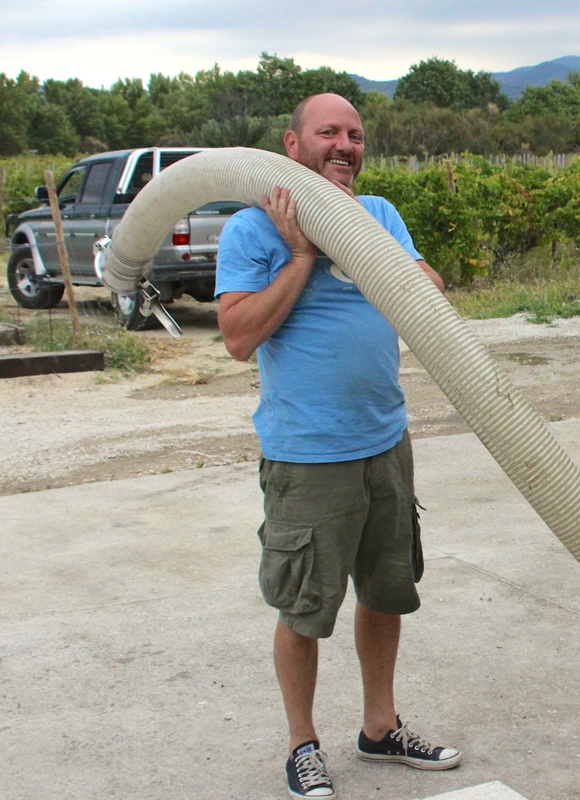 I have a whole new respect for the vineyard owners and workers now, so savor that wine, people! It took back-breaking work to complete it. Covered in steaming hot water and cobwebs after getting inside the tank. It was a lovely time. 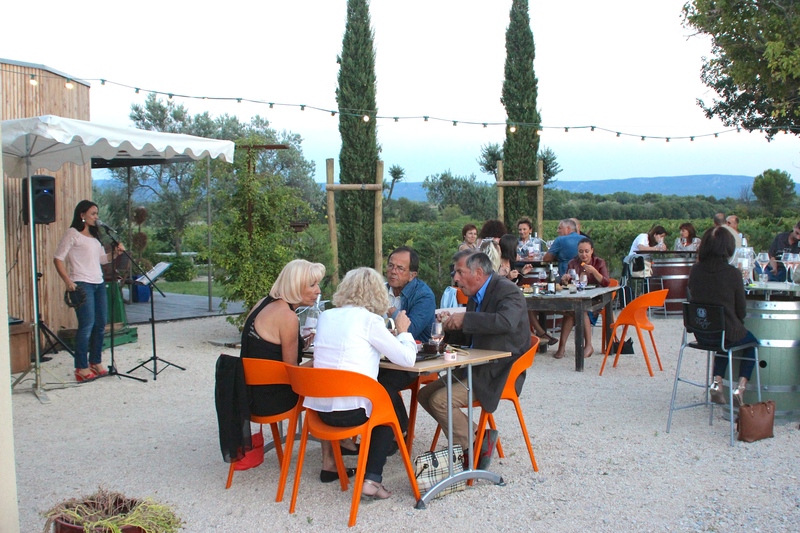 We hosted a dinner and music night at the vineyard. I got to help prepare the food for guests.